With over 30 years of experience, we know what it takes to get the job done. We are a small owner-operated, family-based business, so you can rest assured that you and your family is our #1 concern. As a full plumbing, heating and air conditioning company, we can do anything from fixing faucets to sewer replacements. 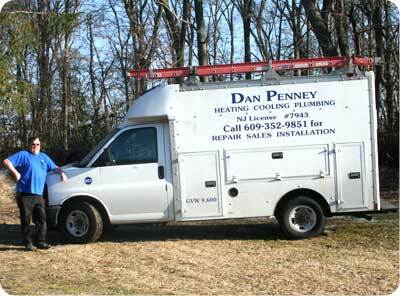 Why Choose Dan Penney Plumbing, A/C & Heating? – We are small enough to care, yet large enough to solve any problem. – We deliver prompt and courteous service. – We know South Jersey and our residents’ plumbing and Air Conditioning/Heating systems inside out.